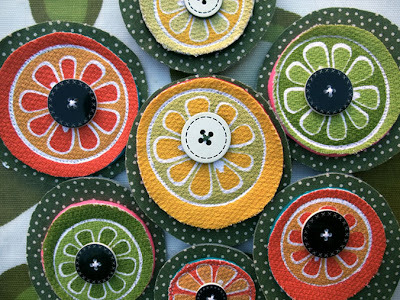 Have just finished sewing the buttons onto some citrus fruit appliqué brooches. 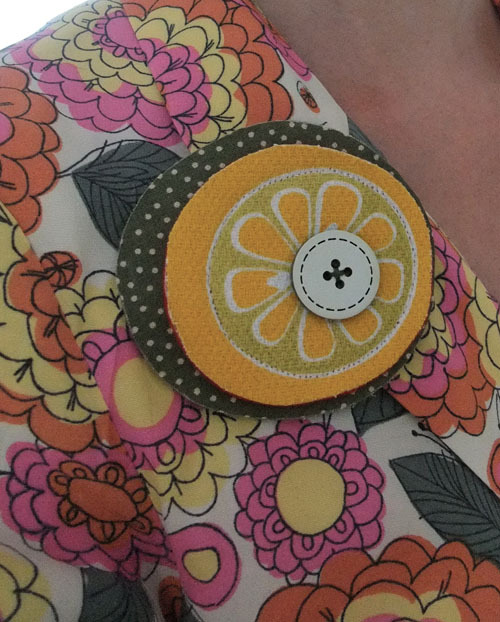 I've made the brooches from a few favourite pieces of material; a fruity printed tea towel, some polka dot dress fabric and pieces of coloured felt. All lovingly glued and stitched together with a button sewn on top.